Visit Anchorage&apos;s networking and educational events provide opportunity to forge valuable connections while networking and keep abreast of the latest trends and developments in the visitor industry. View the list of current events for members and RSVP online. Join your peers and hear the latest on tourism and economic trends from key community and visitor industry leaders. Members are encouraged to gain exposure for their business by providing door prizes, bringing a promotional piece for the back table or making community announcements to attendees. Learn more about what to expect. Networking can be one of the best ways to meet and form new business contacts within the visitor industry. Throughout the year, Visit Anchorage and members host informal and fun-filled events after work where members can get to know each other and build partnerships. Learn more about what to expect. Be part of this monthly meeting often to educate Visit Anchorage&apos;s volunteers and staff who work in the VICs - the folks on the front lines assist as many as 1,300 visitors a day. Members are given 5-10 minutes to speak to the group and are encouraged to bring handouts, samples or door prizes. Presentation slots are limited. Contact one of the Visitor Services Managers to check availability. Held quarterly, this presentation is great for new members as well as those who may have new employees not yet familiar with Visit Anchorage&apos;s benefits. It&apos;s also an opportunity to get to know staff and find out which leads and marketing promotions best suit your business. A highlight of the year, a gala black-tie optional event that honors industry leaders and volunteers. 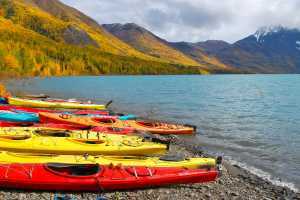 This fun-filled event is the largest gathering of Visit Anchorage members. This opportunity is perfect for front-line staff of shops, hotels and restaurants, along with visitor information, tour guide and bus drivers. Learn more about what tours and activities are available, allowing you to better service visitors to Anchorage.